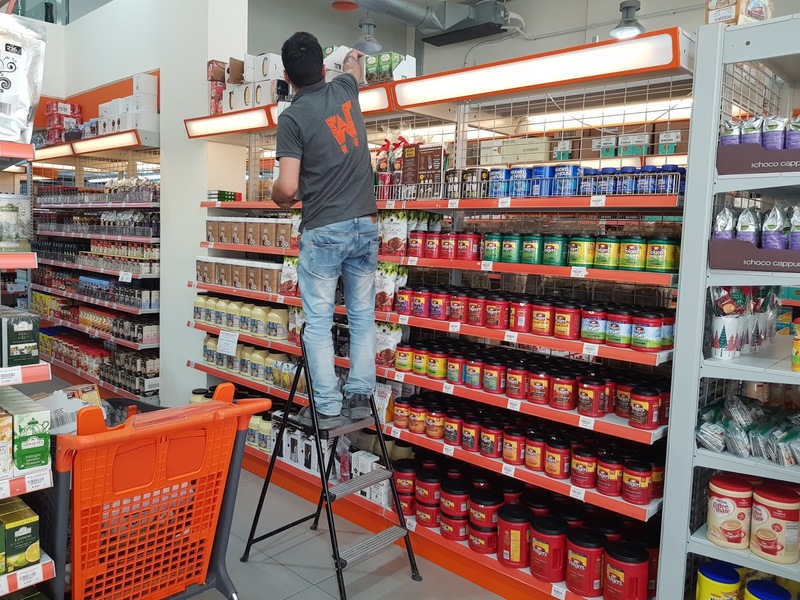 I recently sat down with Farrah Berrou, Creative Strategist at Wesley’s Wholesale, a major Lebanese wholesaler of American products with a flagship store in Jnah and a massive three-story stronghold in Hazmieh. 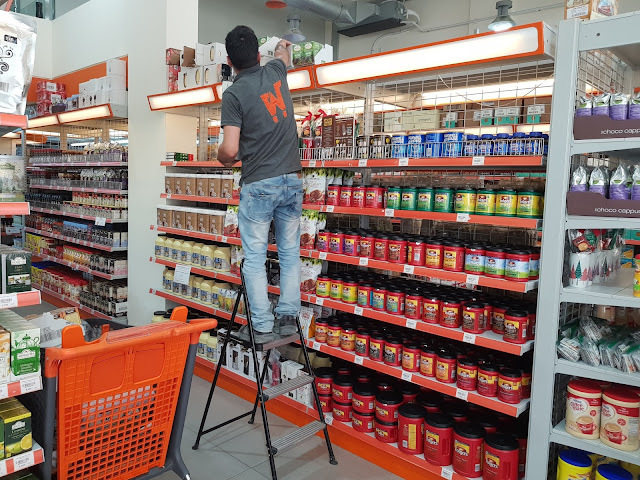 Wesley's is owned and operated by the Berrou family, who transplanted from Southern California to Beirut more than a decade ago and yearned to import the American shopping experience with them. DI. When and where was Wesley’s Wholesale incorporated? Who is it run by? How many staff members are there? Is it an international enterprise? FB. As a family, we've been in imports since 2005, but Wesley’s as a brand didn't come to life until 2013. We decided to rebrand and restructure our concept as an American grocery megastore similar to the big-box stores of the US while also paying tribute to my late uncle Wesley, who passed away a few years before. Between sales staff and management, we’re about 40 people involved in the day-to-day, but the purchasing & procurement is handled by me and my parents. 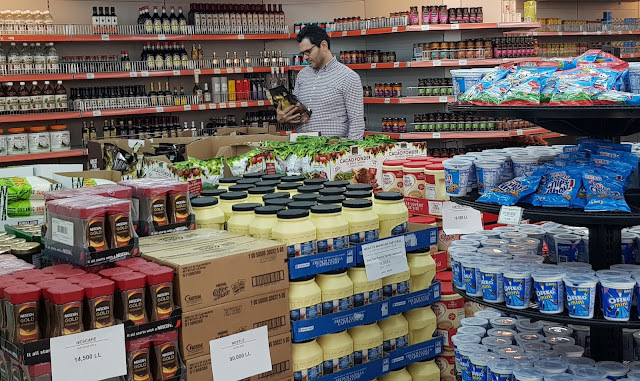 If you consider what we sell on our shelves, we're commonly thought to be a franchise from the west, which is flattering because it means our American experience feels authentic and impressive. If you really stop to think about what’s on the shelves though, you’ll notice that it’s a carefully selected group of items. It’s not automated, it’s me and my parents picking and testing products one by one, and you can sense that when you look at the shelves. However, being mistaken for a purely American company also means we have a lot of pressure to deliver a certain caliber of customer service and retail shopping experience that the US is known for -- and that we’re aiming to replicate. It also means that nationals think we're outsiders stealing business from the local economy. In reality, we’re a homegrown business that's 100% Lebanese trying to build something in our own country. DI. From which countries are goods sourced? FB. Majority, about 90%, is from the USA. The remaining 10% is from various countries in Europe. Beyond the products being of top quality, it's also better for us to bring in specific items from these European countries because transit time is much shorter, so we have more flexibility with best-by dates like craft beer which should be consumed within three months of being brewed. For imports from the US, we have to account for a lot of shelf-life lost at sea. We do fly in some items at times, but we try to keep that at a minimum because it can be very expensive. This isn't the customer’s fault, so we end up eating a lot of the cost in that case. DI. How often does new inventory come in? How often are shelves stacked? FB. We've got containers coming in every 10 days, but that doesn't mean each container has every item we sell. We split containers between food and nonfood, by supplier, by coast, and by season. This means we could have four different containers land in the same week, and each one has completely different merchandise. We still wouldn't have covered 10% of our total offering. DI. Is there a separate warehouse with additional inventory, or is it limited to the shelf? FB. We've got warehouses, but our biggest warehouses are the stores themselves. A large part of our operating costs goes to properly storing inventory at safe temperatures in a country that doesn't have dependable 24-hour electricity. The generator costs hurt whether it's warehouse or store. With that said, we don't hide any digestible merchandise for later because of limited shelf life, so most of what's in stock is out on the floor. A lot of retailers, chefs, and food entrepreneurs shop at our stores on a cash-and-carry basis which means they buy items just like any other customer but benefit from buy-by-the-case deals where the more you buy, the less you spend than if you were to buy individual units. DI. Does inventory vary from outlet to outlet? FB. 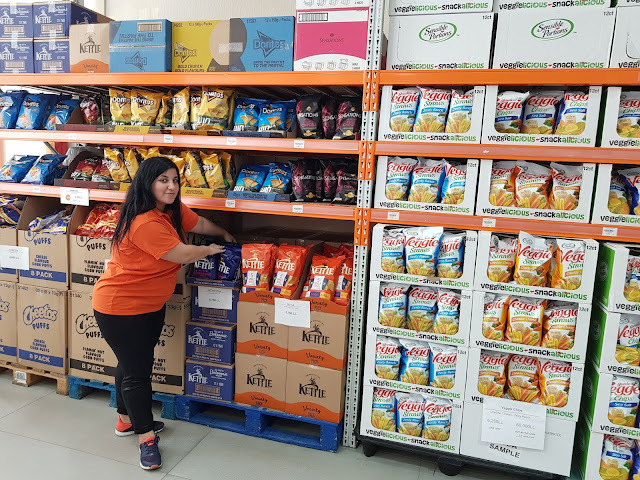 There may be a few items that vary from branch to branch, but that would be because of a sudden big sale or move of items being bought by one customer. 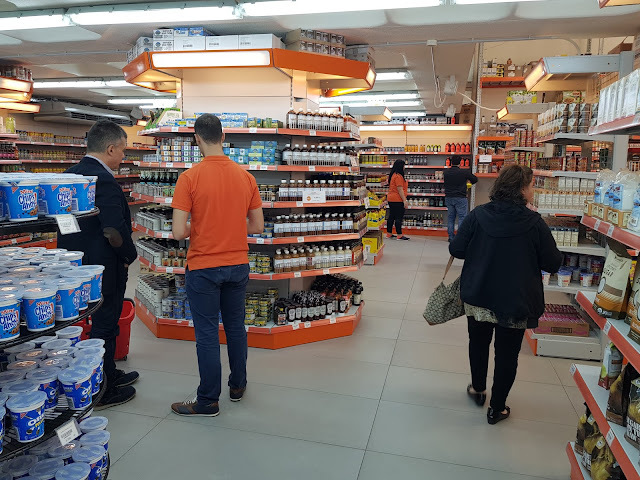 On average, both Jnah and Hazmieh carry the same inventory in the food and nonfood sections; the main difference is the Orange Label floor of Hazmieh, which carries particular gourmet items, stationery, and alcohol. DI. Why is it that I can’t always find a product I’ve previously purchased at Wesley’s? FB. Ahh, this is the biggest challenge we have as importers operating with a relatively small purchasing team. Because we work with so many suppliers, we can't guarantee to have every item you've ever found at our stores in stock at all times. For one thing, this is because we can't guarantee that our suppliers will always have them in stock too, so we're partially at their mercy. We do work with some brands directly to get the full product range at a better price, but you end up spending a lot of what you save on trucking it to your warehouse to put it all in one container, not to mention the time wasted trying to coordinate multiple shipments for the same cutoff date of the shipping vessel. We don't have the luxury of ordering huge stocks of every item because, even if you have the capital to do that, you still have to store it when it arrives and sell it before it expires. Even if a product is excellent, it may not be viable in the Lebanese marketplace because of numerous reasons, the top one being that it’s too expensive versus local alternatives. Sometimes a favorite product of yours isn't actually selling well overall, so we’ll drop the brand. I've had an attachment to some that I felt were winners but, when push comes to shove, they aren't as popular to the customer base, so continuously importing them doesn't make sense, but that doesn't stop us from repeatedly bringing in new things for our customers to try. If it doesn't take, that's a slow-moving item taking up shelf space instead of an item that's popular and fast-moving and thus, revenue-generating. You may love a certain brand of soap, but if it's not selling enough due to price or general lack of interest, it probably won't be back. Then there's the issue of suppliers also dropping brands or having their brands acquired by bigger distributors. The FMCG (fast-moving consumer goods) market is a complex web that is tied to what consumers want but also what businesses can afford to take a chance on at their own expense. DI. Why is it that occasionally a product on the shelf seems close to its expiration date? FB. That depends on which product. If we're talking about fridge items (chilled or frozen), it is normal for those to have a short shelf life. Dairy, yogurts, cold cuts - these aren't meant to be in a fridge longer than two weeks, which makes their sale and turnover very costly. As for other “dry” items, it’s another curse of the journey to get here. The item may have shipped with a nine-month shelf life, but by the time it reaches our shelf, it's down to six months. This isn't a long time, and that's still ideal since a lot of inventory has a shorter window. The more organic you get, the less leeway you have with best-by dates, too. That said, expiration dates are arbitrary and more of a suggestion. That's not to say that we don't take them seriously - we are ISO-certified after all, and we won't ever sell you something that's expired. But a lot of perfectly good food goes into garbage bins because of this misunderstanding, which is why we started working with Foodblessed to move our close-to-expiry items onto plates for those in need. These items have such a stigma in the eyes of the consumer when really, they’re perfectly edible food. DI. Can a customer request a product and realistically see it at Wesley’s for sale in the future? FB. That depends on what the item is. If it's up to Wesley’s standards of excellence and we feel the market has room for it, then we'd definitely look into how to get it on our shelves. It has to be viable for the country, not just one person. We're not a US delivery service that can heed all requests, but those who highlight items with a potentially big following are not overlooked. That's not a promise though. Some brands themselves aren't ready to go international (like HaloTop), while others are either not responsive, not interested in the Lebanese market, or just plain difficult to work with. However, if there is a product worth having, and we can manage to get it onboard literally and figuratively, we'll do what we can to get it over here. I don't want to shatter anyone's dreams, but as a disclaimer, if you send a message requesting an item, don't expect it to be on our shelves a month later. It happens sometimes, but one request doesn't always justify what it takes to get that one product across oceans. I do appreciate all suggestions we get in-store and online though; it keeps me on my toes. And I don't forget about requests from people, even if it's been a year since you asked for it. Keep in mind that when you're messaging us via email or Facebook/Instagram, you're talking to the people who do the buying, so we're hearing you loud and clear. there's a chance you may see it on the shelf in the future! DI. Why are prices steeper than those found at Costco USA? FB. Costco is a cash-and-carry wholesale business. As retailers, we don't get special prices on their items. Add to that taxes, customs, shipping costs, operational costs, salaries, and a minimal profit. When you think of all these and compare prices, we’re not expensive. We’re fair for what we're offering. We're not a discount store; we sell value. We have expensive items, sure. But that’s what that item costs because of its quality and its journey to Lebanon, not because we want to rake in a premium. Every item that comes in has a different tax and cost, so it’s not the same formula for every product. And if at any point, something seems outrageously priced, we’ll double check it and break it down for you, so you understand how that number got there. We can make mistakes but usually, it's all quantifiable. There are also bigger environmental influences at play that no one thinks about when looking for a simple ingredient. For example, the price of vanilla extract has skyrocketed in the last few years. A lot of customers thought it was us reaping the benefits of becoming a known name and jacking up our prices, when it was actually due to a global shortage in vanilla bean! DI. Is Wesley’s competitive with other supermarkets in Lebanon like O&C, Spinney, etc.? FB. Only if we're comparing exactly the same items. Wesley’s can't be put in the same category as supermarkets like Spinney’s or Carrefour. They're everyday markets that you get your meats and your “bread & butter,” as we say. The shopping you do at Wesley’s complements this grocery shopping, because it's where you go for the items you can't find in the everyday markets: the organic, the vegan, the gluten-free, the spices, and American cereal, chips, chocolates, and snacks. These other markets are catching up with us though, so it's interesting to see how things have changed in the last few years based on changing consumer appetites. DI. Why is it that similar products (i.e., Dove shampoo, Colgate toothpaste) are cheaper elsewhere than at Wesley’s? FB. So that's what I meant when I mentioned “exactly the same items.” The same brand may be manufactured in Egypt or Saudi Arabia and is, thus, less expensive because it's made within the region. There's less cost just getting into the country. However, although these products may be totally fine and do the trick, some items differ based on where they're manufactured. This is noticeable more with food than with nonfood items because you can taste the difference. I tend to use KitKat as an example because every customer knows what a KitKat tastes like. If you compare a locally bought one to one imported from the USA, you'll notice a slight difference in flavor. Again, that's not to say that local versions are bad, it's just a preference that some people are used to, and it comes across in a variety of ways in our other products as well. Now we've learned about the challenges of not always finding previously purchased items, do you have new strategies on how to improve the situation? I am specifically talking about bagels. I know several people that are drawn to your store because of these spongy, chewy, tasty items. So short of opening a bagel bakery, are you doing anything different than before to get more bagels more often?